Prof. Si Cheng joined The Chinese University of Hong Kong (CUHK) Business School in 2016 as an Assistant Professor of Finance. 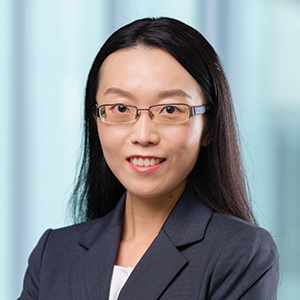 Her research interests mainly lie in the field of empirical asset pricing, with an emphasis on investment and financial institutions. She received her PhD in Finance from National University of Singapore. Her papers appear in Journal of Financial and Quantitative Analysis. Doron Avramov, Si Cheng, and Allaudeen Hameed (2016), “Time-Varying Liquidity and Momentum Profits,” Journal of Financial and Quantitative Analysis, 51, 1897-1923. Si Cheng, Allaudeen Hameed, Avanidhar Subrahmanyam, and Sheridan Titman (2017), “Short-Term Reversals: The Effects of Past Returns and Institutional Exits,” Journal of Financial and Quantitative Analysis, 52, 143-173. Doron Avramov, Si Cheng, Amnon Schreiber, and Koby Shemer (2017), “Scaling Up Market Anomalies,” Journal of Investing, 26, 89-105.